Barcelona is a stunning city from whatever viewpoint you’re looking at it. But witnessing Barcelona from above is nothing short of magical. Not only does it give you a totally different perspective, but you also gain a better understanding of the city. You can clearly appreciate Barcelona’s layout. Symmetrical grids are dissected by long, tree lined avenues that stretch like green veins towards the turquoise coastline. It’s easy to pick out many of the popular attractions and pinpoint where they are in relation to one another. And looking at Barcelona from above, you’ll realise that for a city of such stature, it’s actually pretty small. Barcelona isn’t a city short on aerial views. This is thanks largely to the numerous mountains and hills that dominate its skyline. There are plenty of towering buildings with bars and restaurants on high up floors boasting nice views. However, you won’t find any of those on this list. For us, the best panoramas are experienced with the wind in your hair and the sun on your face. 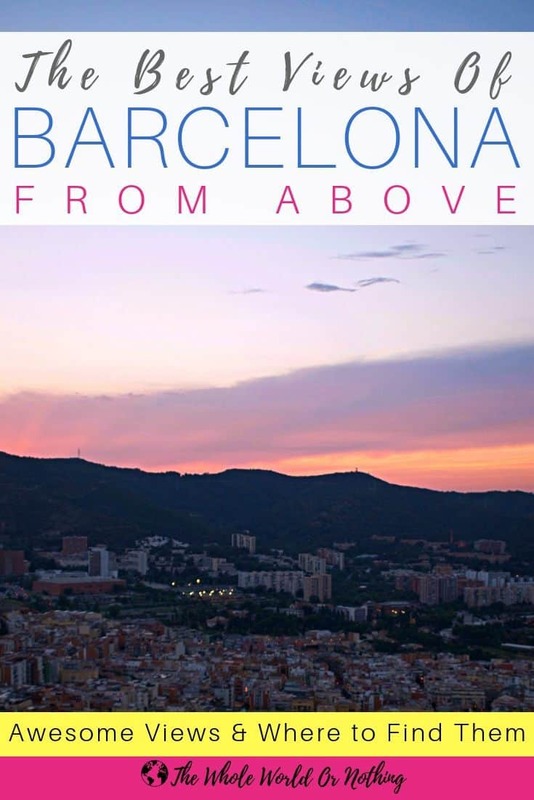 Here are our favoured places to get the best views of Barcelona from above. 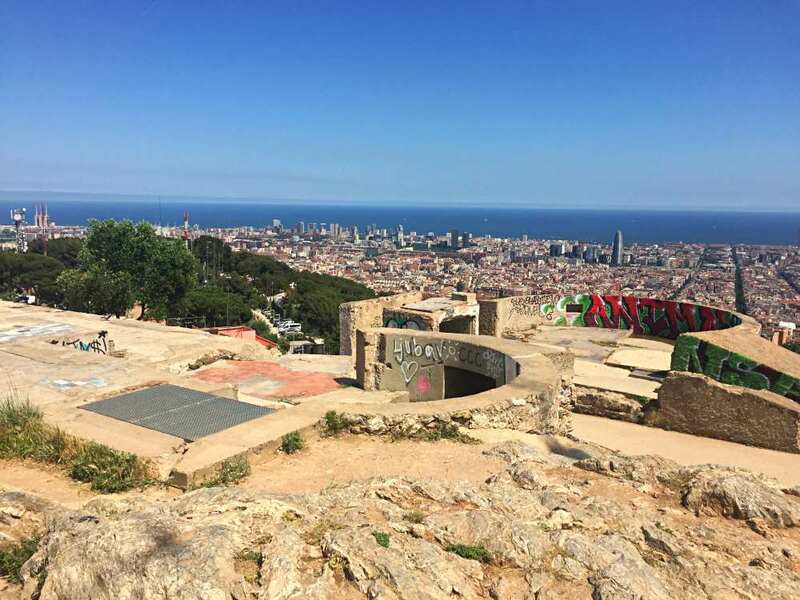 Our favourite lookout for the most magical views of Barcelona from above is the Bunkers Barcelona. It was formerly used as a stronghold against invading planes during the civil war, hence the name. These days this hilltop hideaway is better known as Barcelona’s ultimate chill out spot. Everyday sees new pilgrims undertake the walk up the steep, winding slopes of Turó de la Rovira. And though you’re guaranteed to get a sweat on scaling this hill’s peak, it’s well worth the toil. Unlike other vantage points in Barcelona, the views here are 360 degrees, stretching out in all directions around the hill. The famous theme park of Tibidabo lies on one side, seemingly towering over the El Carmel district below. The Sagrada Familia on the other looks even more attractive from above, and feels almost close enough to touch. The coast extends endlessly to your left and right as you look at the sea, industrial structures dominating the land. A few hours slip by in the blink of an eye while you’re captivated by this mesmerising view. 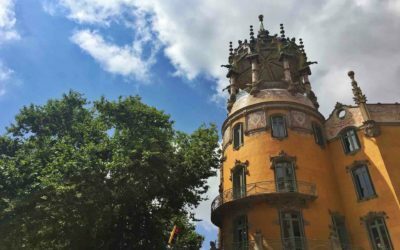 In the shadow of Montjuic, the surrounding area of Poble Sec is home to some of Barcelona’s top attractions. 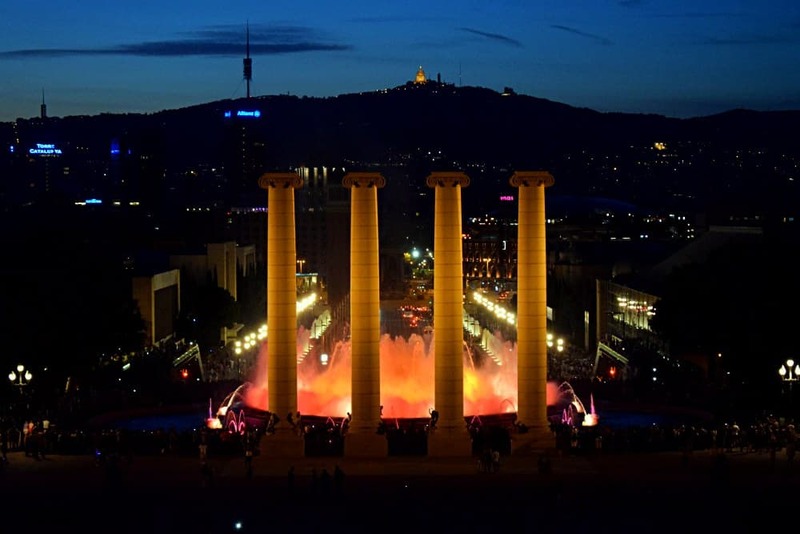 The Font Magica or Magic Fountains is a colorful light and sound show at the foot of the imposing Palace of Montjuic. It splashes and sings, delighting the huge crowds that gather to watch each performance. Then there’s La Monumental, the former bullring that faces the palace now converted into a shopping centre. From its large rooftop terrace which in itself provides nice 360° views of the surrounding area. But for the real views of Barcelona from above, you need to get yourself to the top of Montjuic Mountain. In and around the historic castle that sits proudly on its crest has numerous fantastic lookouts. To the north there’s Barceloneta and the 5km of Barcelona beaches, while directly beneath it is the vast port. Boats of all sizes and colours, from cruise ships to freight liners crawl slowly in and out of the harbour. Watching them go about their business, loading and depositing their people and cargo is strangely mesmerising. 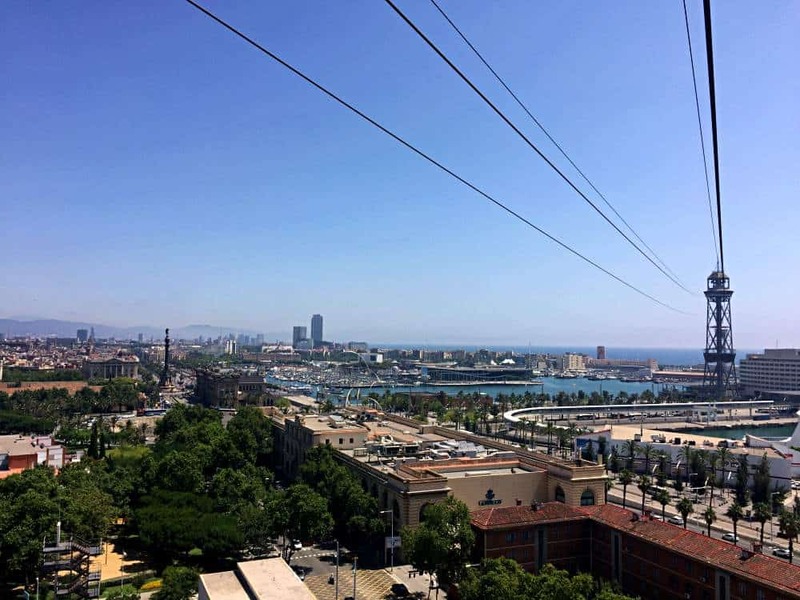 The most exciting route down from the top of Montjuic is the cable car to Barceloneta beach. Otherwise known as the Transbordador Aeri del Port, this cable car is an ancient looking, rickety, square bucket. Its retro appearance is down to the fact that it was conceived in the 1920s with building completed in 1931. But while it might appear as though it’s seen better days, consider that part of the thrill. This ten minute thrill ride covers 1,300 metres in length and reaches a top speed of just under 5mph. It runs from Montjuic to a central tower which it passes through without stopping before descending down to the end of Barceloneta Beach. While similar to the views from the top of Montjuic, the ones from port cable car they are continuously developing. You get a bird’s eye view of this slice of Barcelona from above as your cable car passes directly over. Don’t get the Transbordador Aeri del Port confused with the Montjuic Cable Car which also runs in the same area. Montjuic Cable Car is much newer and does not take you to or from the port. Whilst it still provides nice views of Barcelona from above, it’s not a patch on the Transbordador Aeri del Port. 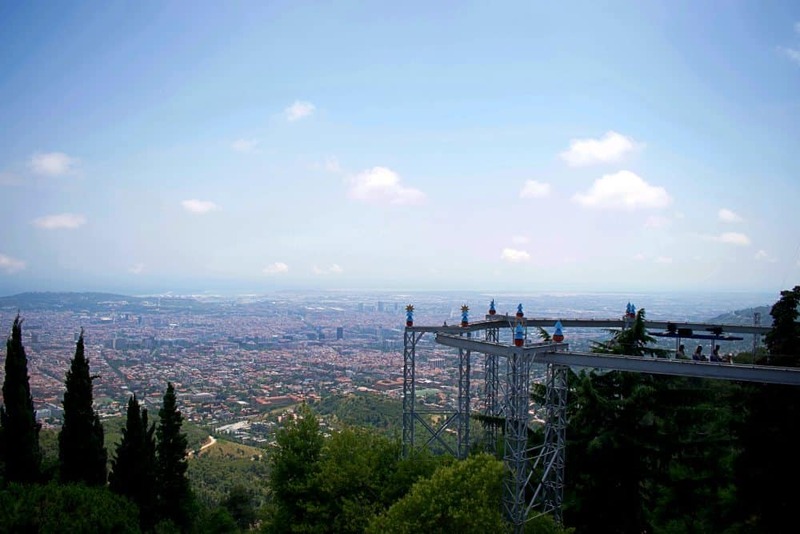 You can spot Tibidabo from virtually anywhere in the city thanks to the distinctive structures that sit on its crest. The outline of the church crowned with a giant statue of Jesus with outstretched arms is instantly recognisable. Surrounding the church is a 120 year old amusement park. Its two most famous rides are a ferris wheel and flight simulator that can also be seen from far away. 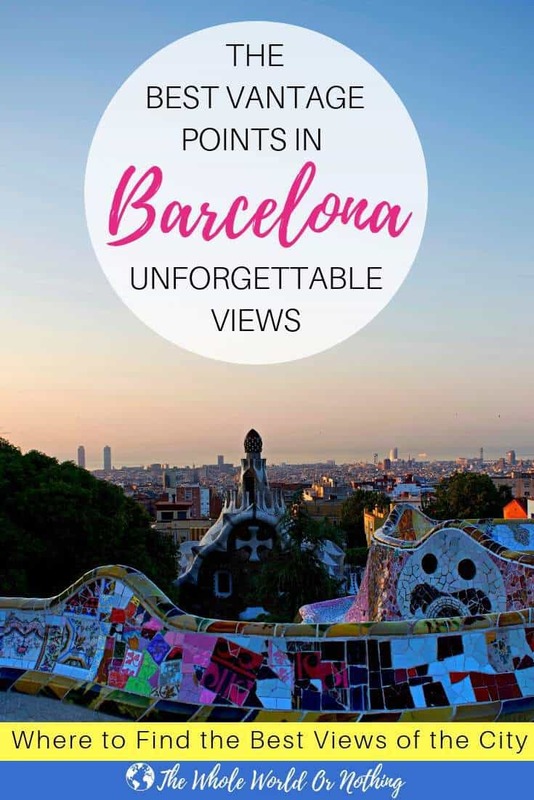 While these all make up an iconic part of the skyline, it’s the view of Barcelona from above which the mountain provides that’s most impressive. Rising to almost 1,700 foot, Tibidabo is the highest point in Barcelona. Because of this it’s no surprise that you’ll get some of the best, uninterrupted views of the city from up here. It’s pretty expensive to enter the main theme park section of Tibidabo. But the ferris wheel, flight simulator and a few other rides actually lie outside of this. You can buy individual tickets to ride them, or alternatively just drink in the vistas from the designated viewing platform. Don’t worry if you’re not up to the challenge of walking all the way to the top either. 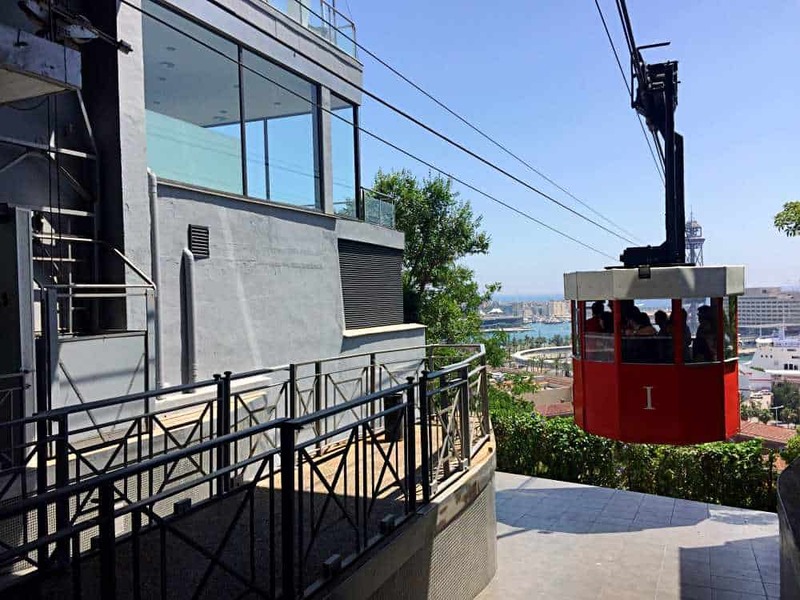 You can jump on the funicular that trundles up the side of Tibidabo. The lookout from the car windows will also provide you with great views of Barcelona from above. 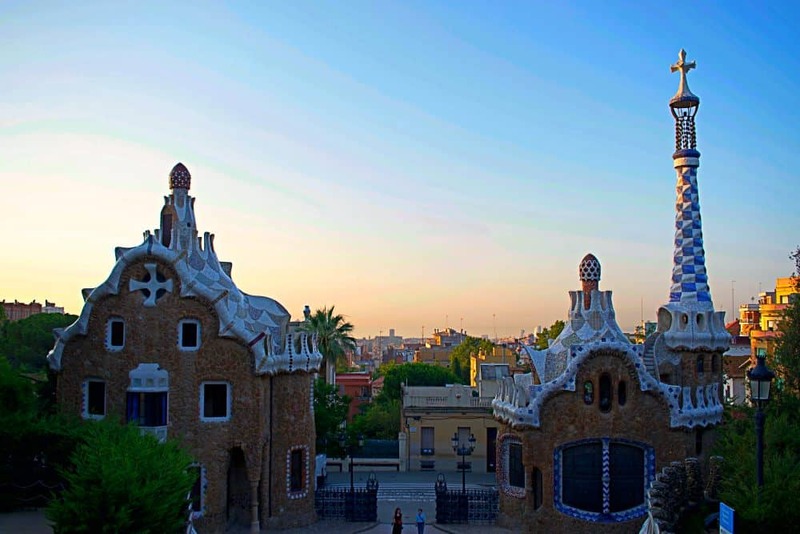 The most famous of all the city’s green spaces, Park Guell was designed by Barcelona’s best loved architect, Antoni Gaudi. It’s deservedly one of the most popular tourist attractions here, and a must-see for all first time visitors to Barcelona. 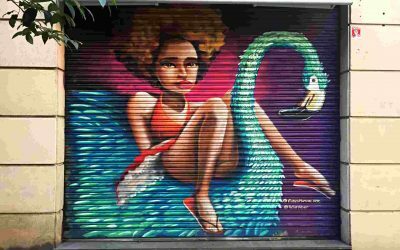 The park is the crowning jewel of the Gracia district of Barcelona, a trendy mini village full of cool bars, independent restaurants, and excellent eateries. The majority of Park Guell is free to access and packed with greenery and nature mimicking architecture. But the main attraction is the gated terrace of the park that with its surreal explosion of colours and shapes. Flamboyant curves and surreal formations overlook two buildings that look like gingerbread houses. As if that’s not enough, beyond the twisted beauty of Gaudi’s imagination lies the whole of his spectacular city. The breathtaking views are extravagantly framed by the colourful installations of the park. And thanks to its position on top of Carmel Hill, they stretch all the way to the ocean and beyond. Though there is usually a fee to get in to this part of Park Guell, it’s actually possible to get in for free. Outside of its opening times, which change depending on the season, you can simply walk in without paying. 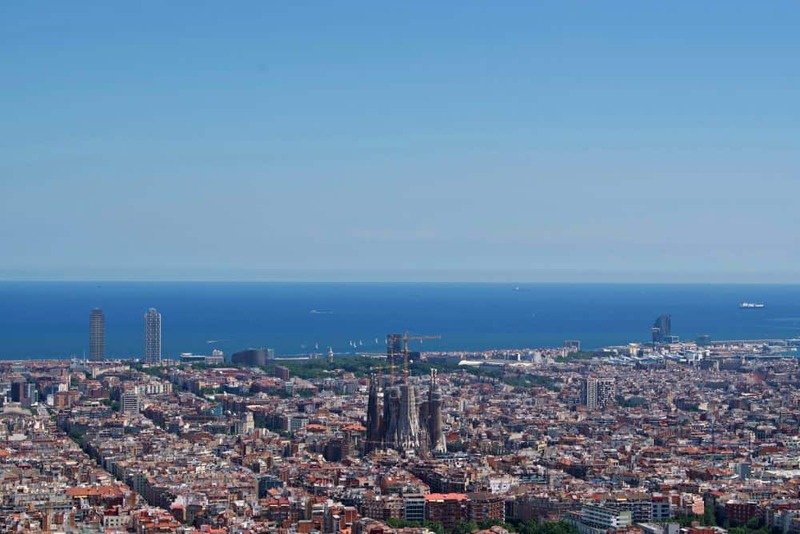 Which do you think looks like the best view of Barcelona from above? Drop us a note in the comments and let us know! And if you’re looking for some more more incredible views near Barcelona, don’t miss our day trip guide to Montserrat mountain. 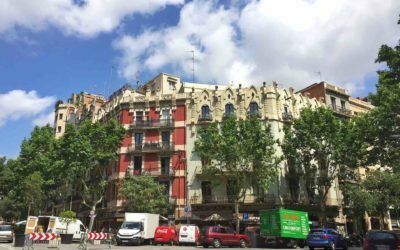 Looking for somewhere to stay in Barcelona? Check out the best prices below. As I started to read this I was sure I had seen the sights you listed of Barcelona from Above…BUT I didn’t go to any of these places! UGH! I saw a lot of Barcelona from atop the churches and obviously the Sagrada but I never even knew there was a cable car or the Tibidabo. I did know about the bunkers but I never took that walk. Man I really regret not going now cause those views are amazing. Guess I have to return to see Barcelona from above from all of these places! That’s so funny Eric, so glad we were able to introduce you to a few different spots for your next trip. I am so bad… I’ve spent about four months in Barcelona and never made it up to the bunkers! I guess that’s an excuse to go back again! What a great line up of viewpoints! 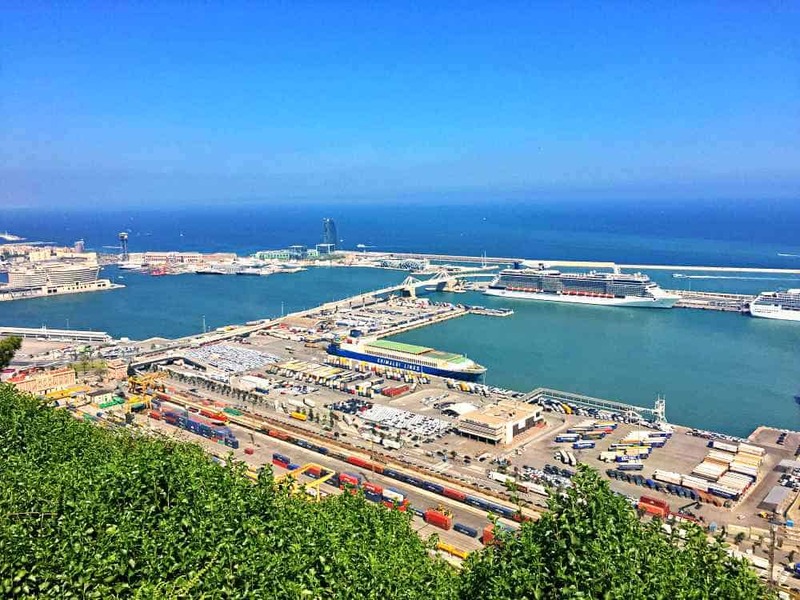 I love the views from Montjuic, but wasn’t brave enough to do on the Transbordador Aeri del Port! 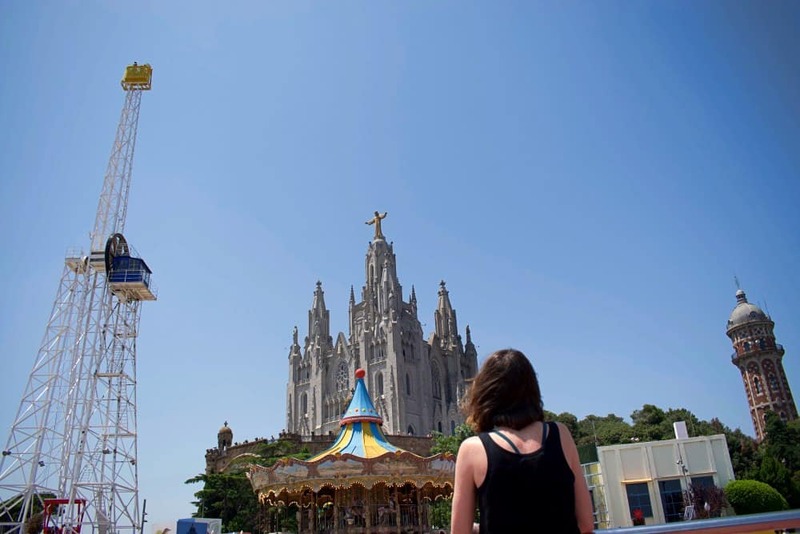 I didn’t spend any time at Tibidabo last time, but your tips make it somewhere I will visit next time! Ha ha! Yeah the cable cars do look pretty rickety I must say. But Tibidabo is a great one for when you are next there. We took our nephew up while he was visiting & he absolutely loved it. Like you, I like Bunkers Barcelona. After drinks, just go up and out and have a great view of the colorful city. Such a good spot isn’t it?! Especially at sunset. We were up there nearly every week while we were staying in the city! Vantage points are such lovely way to see a city. I love finding such spots too. The big picture can often be very different from a close up. These are all such great choices to see Barcelona. Glad we could help – or maybe not – sounds like we may have complicated it more. Ha ha! It does totally depend how much time you have but yeah, you definitely won’t regret either. Hope have an awesome time! I really want to visit Barcelona. It looks so beautiful. I have enjoyed visiting other cities in Spain. I’m also going to have to check out your other Barcelona articles. I cannot believe that I haven’t made it to Barcelona as yet! 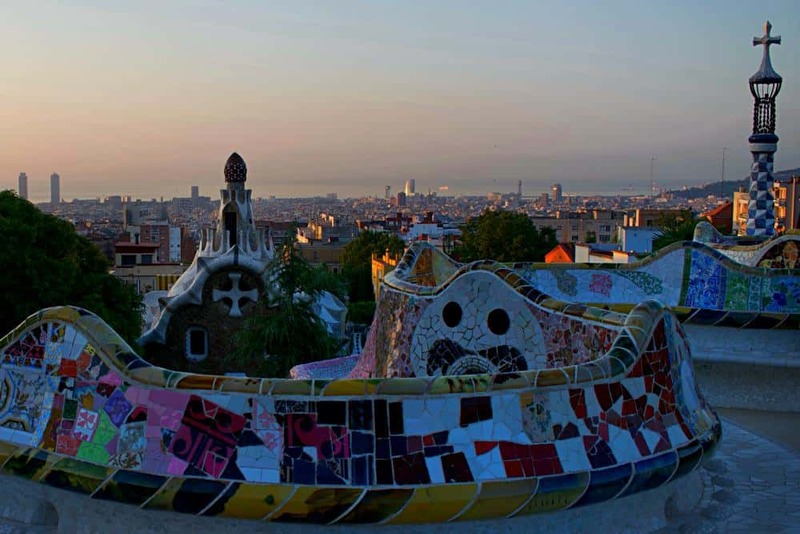 Park Guell is definitely on my list, I love the architecture there. Also, love the views from the top so definitely need to go to The Bunkers! Also, I love cable cars with views of the city below. Thanks for the inspiration, I plan to visit Spain next year and will of course, be in Barcelona for 3-4 days. Yes you absolutely have to go! Three to four days is a nice amount of time too. 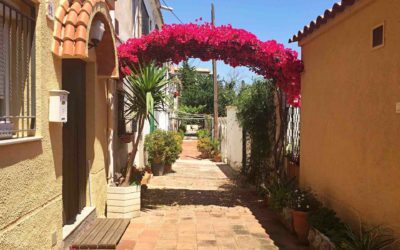 We are actually just writing three and four day itineraries so check back soon and hopefully we can help you with some more of your planning. I loved this post of yours. Barcelona from above is beautiful beyond words. You have identified amazing places for the look esp to the top of Montjuic Mountain. Views from the cable port too looks amazing. Great pictures. Glad you enjoyed it Suruchi. Barcelona is such a beautiful city. So great that it’s surrounding by so many mountains. If you go they have an outdoor cinema on top of Montjuic in the summer which is really cool.